The iWorkCase revolution on your set! 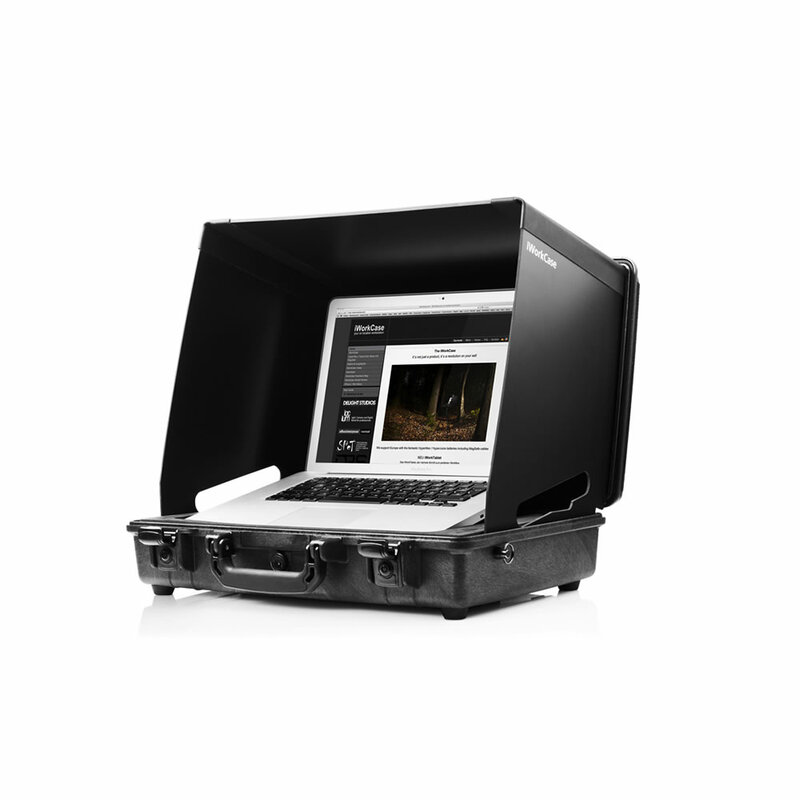 The iWorkCase is the first digital on location workstation for MacBook Pro’s. 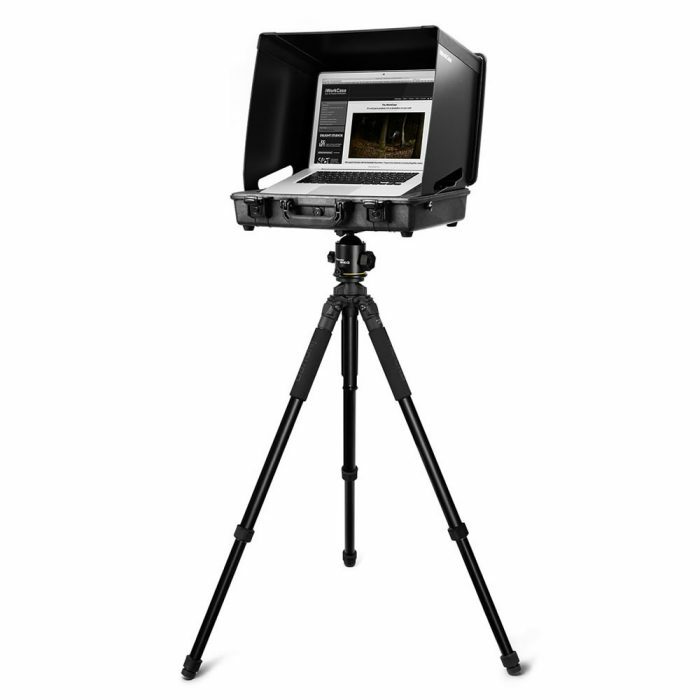 Your first step to a perfect on location workflow. 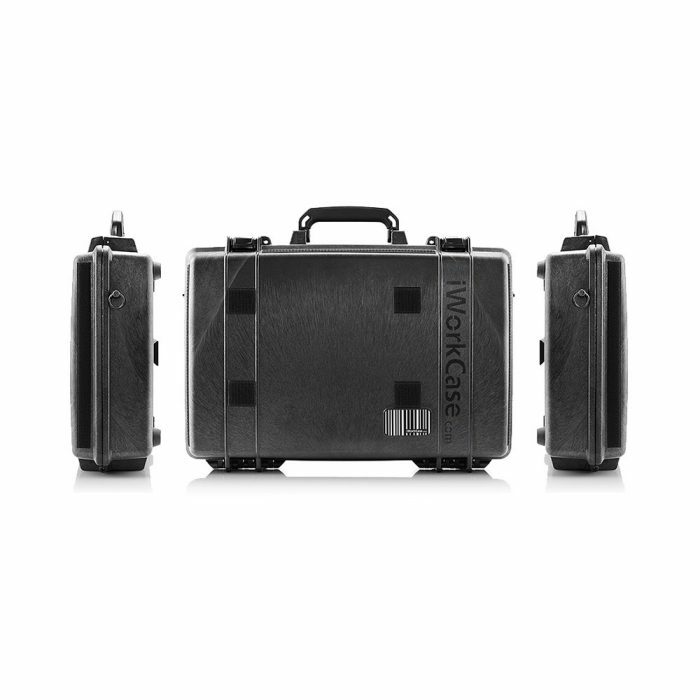 The iWorkCase two 13 supports the Apple MacBook Pro of the first generation (latest model). The inlay is specially matched to the MacBook Pro and the ports of the 13 inch Apple MacBook Pro. A special feature of the “two 13” version are the CF-Card pockets in the inlay. 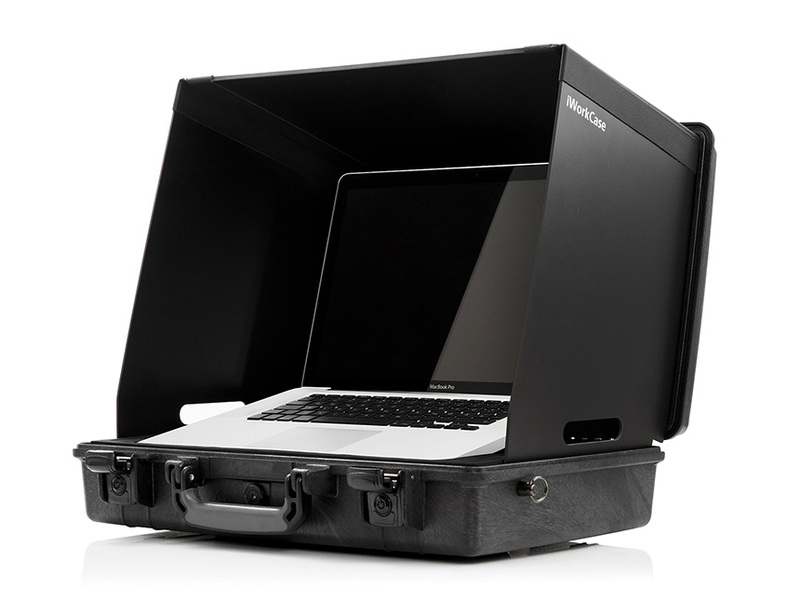 The case provides storage for two HyperMac MBP 150 Batteries, and a FireWire 800 Card Reader (max. size: 73 x 63 x 23 mm). There is an additional left pocket, which can be used for two external 2.5 inch hard drives or one 2.5 inch hard drive and the power supply unit. 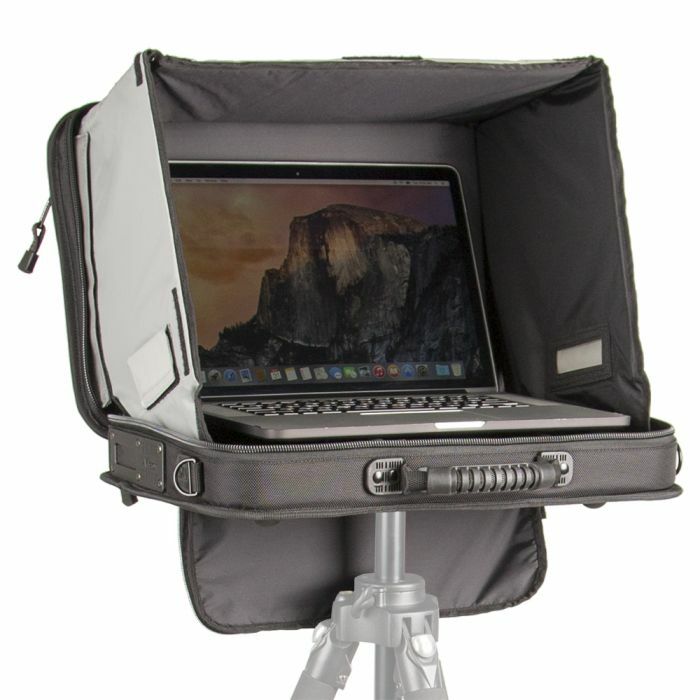 The iWorkCase two 15 Retina supports the Apple MacBook Pro Retina 2012. The inlay is specially matched to the MacBook Pro Retina and the ports of the MacBook Pro Retina. With the new Inlay design you can use one HyperJuice MBP 222 or two HyperJuice MBP 150 in one Inlay. A special feature of the “two 15” version are the 6 CF-Card pockets in the inlay. The iWorkCase Retina provides storage for one HyperJuice MBP 222 battery or two HyperJuice MBP 150, one or two 2,5 external hard drives depends on the brand, one FireWire 800 or USB 3.0 CF Card Reader (max. 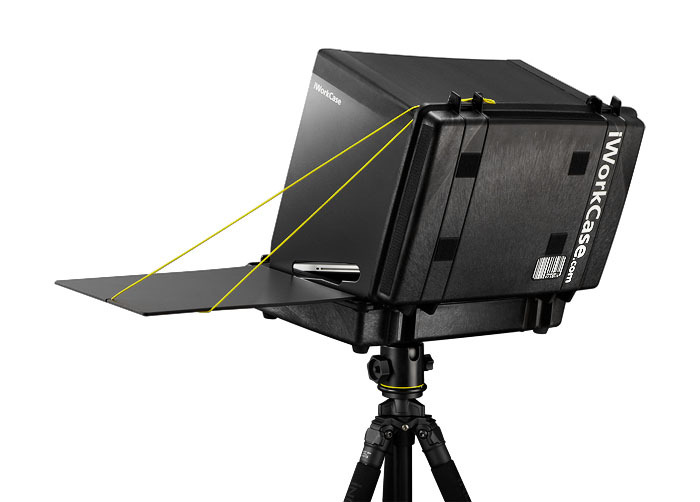 size: 73 x 63 x 23 mm), 6 CF cards and extra parts in an additional parts pocket. The iWorkCase Two 15 222 supports the Apple MacBook Pro 15 starting of the 5th Generation (latest model). The inlay is specially matched to the MacBook Pro and the ports of the 15 inch Apple MacBook Pro. A special feature of the “two 15 ” versions are the CF-Card pockets in the inlay. The case provides storage for one HyperMac MBP 222 battery, one FireWire 800 CF Card Reader (max. size: 73 x 63 x 23 mm) as well as some cables. The iWorkCase Two 17 222 supports the Apple MacBook Pro starting of the 5th generation (latest model). The inlay is specially designed to provide storage for the big HyperMac MBP 222 battery. The inlay is specially matched to the MacBook Pro and the ports of the 17 inch Apple MacBook Pro. It provides storage for two HyperMac MBP 150 batteries or one HyperMac MBP 222 battery and a FireWire 800 CF card reader (max. 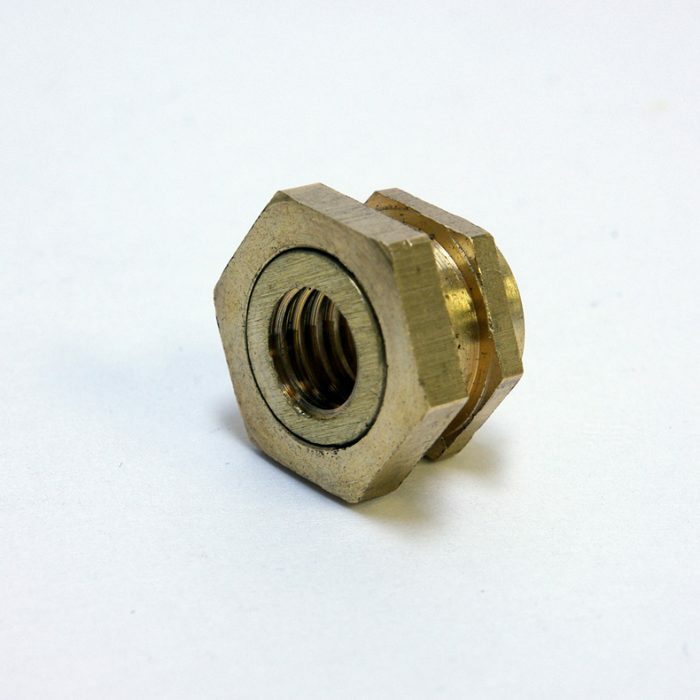 size: 73 x 63 x 23 mm). There is an additional left pocket, which can be used for two external 2.5 inch hard drives or one 2.5 inch hard drive and the power supply unit.